Gramatik’s Label Lowtemp always has the latest in electronic brass and funk. The newest Balkan Bump single has the heavy-hitting brass, and high-quality production we’ve come to expect from the NYC based label. 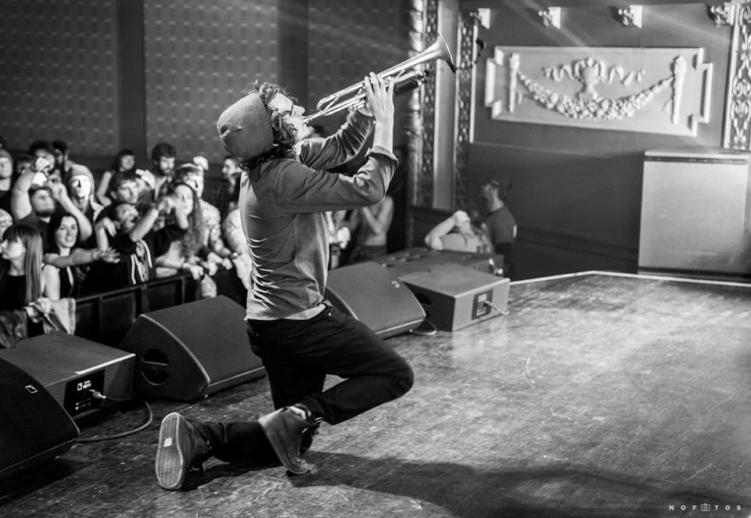 “Can U Hear It” is the newest project from trumpet player, producer, and ethnomusicologist Will Magid. The single features his signature energetic brass with heavy electronic production and heavy hip-hop influences. “Can U Hear It” also features Bay-area rapper Gift of Gab (1/2 of the popular West Coast act Blackalicious). Give “Can U Hear It” a listen below! The single’s B-side “Raindrops” debuted two months ago, for a “pay what you want” fee on Bandcamp. The track’s proceeds went to help benefit the victims of the California wildfires. After launching the project in 2017, Balkan Bump’s success has been well documented throughout the past year. He supported Gramatik through his spring 2018 Re:Coil Tour, played multiple festivals, including two at the legendary Red Rocks Amphitheatre, and supported artists like CloZee, Beats Antique and Russ Liquid. Featured image via Balkan Bump Facebook. Follow River Beats to stay in the know on All your favorite artists.